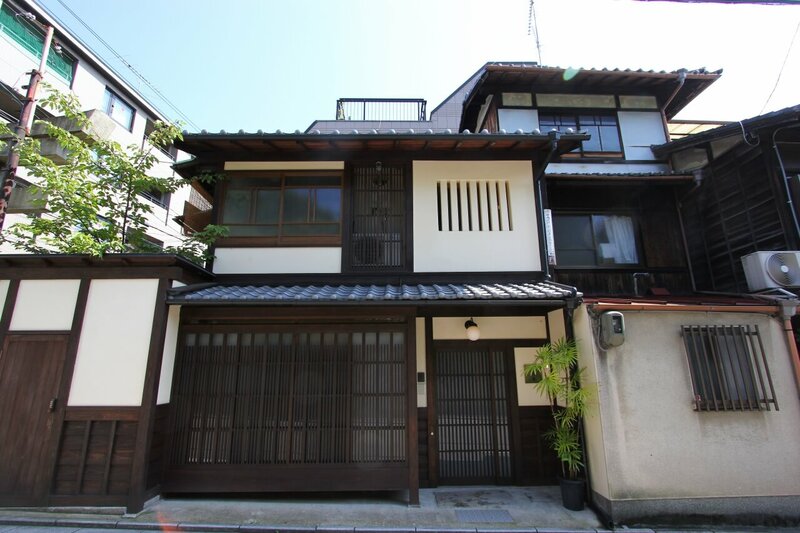 The ideal location to some of Kyoto's most popular sightseeing spots, this beautiful machiya is the perfect place for guests who wish to immerse themselves in the city's rich history. 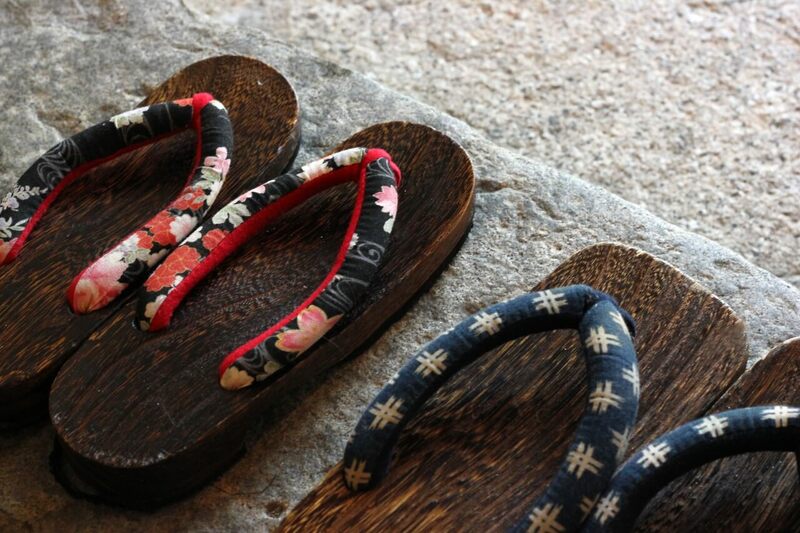 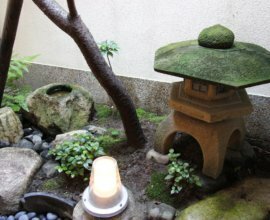 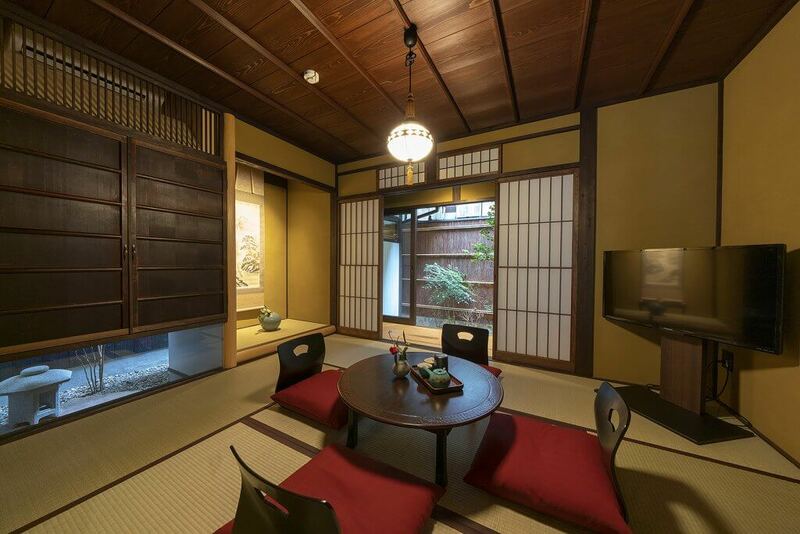 Although located in the heart of Gion, once you have stepped inside this property, you will be able to escape into a wondrous place of tradition & culture. 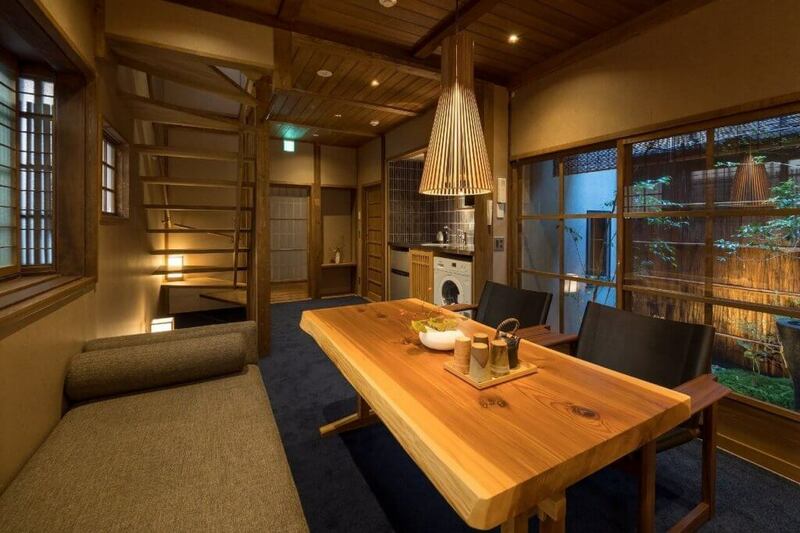 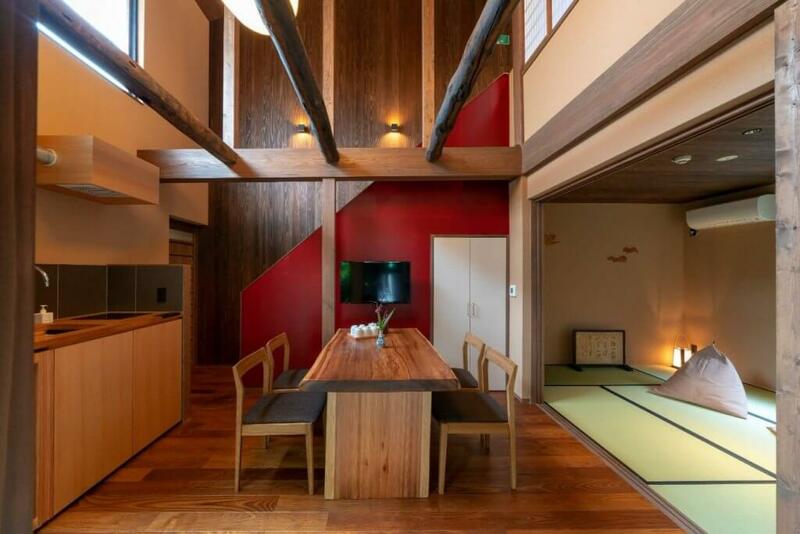 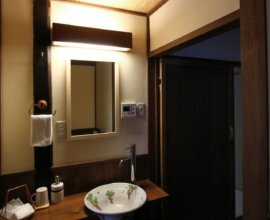 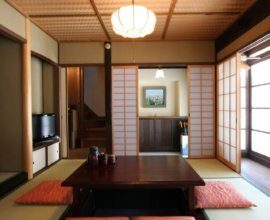 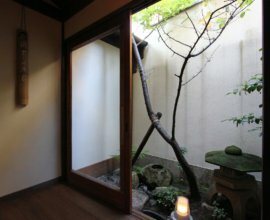 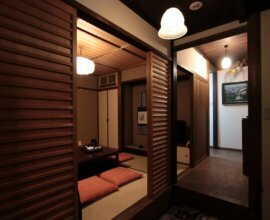 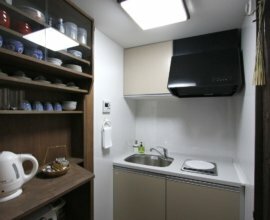 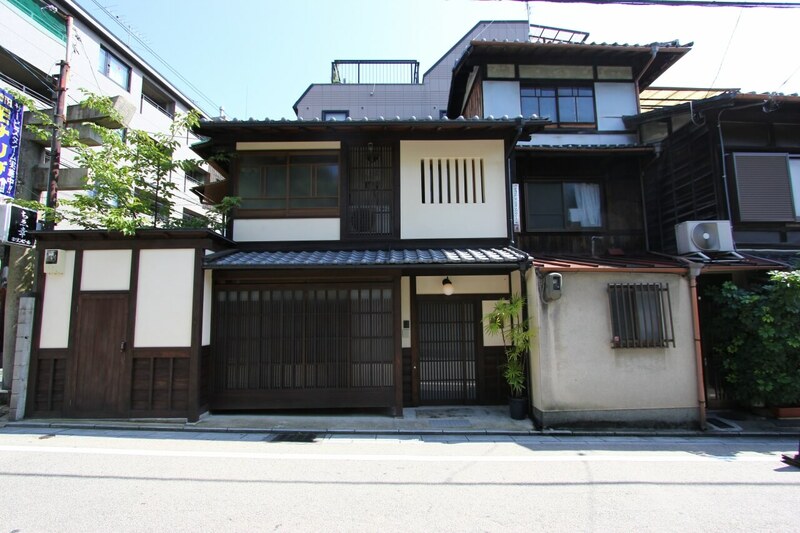 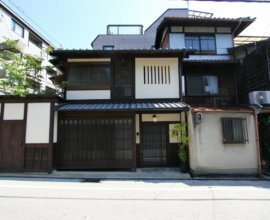 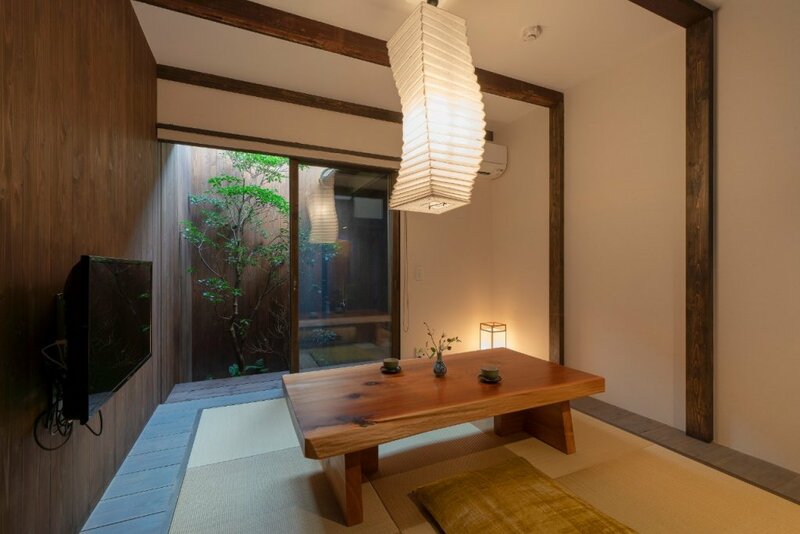 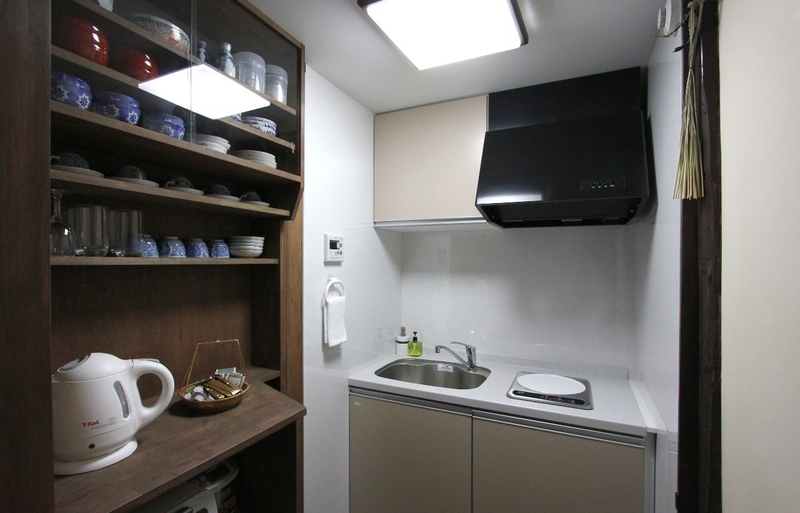 "Gion Koyu-an" is an accommodation facility that enables you to charter and stay at a whole block of “machiya,” Kyoto’s traditional townhouse. 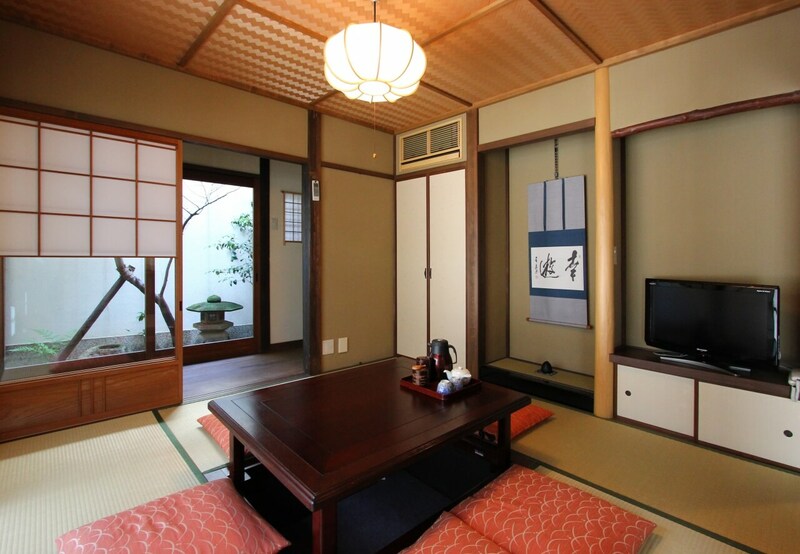 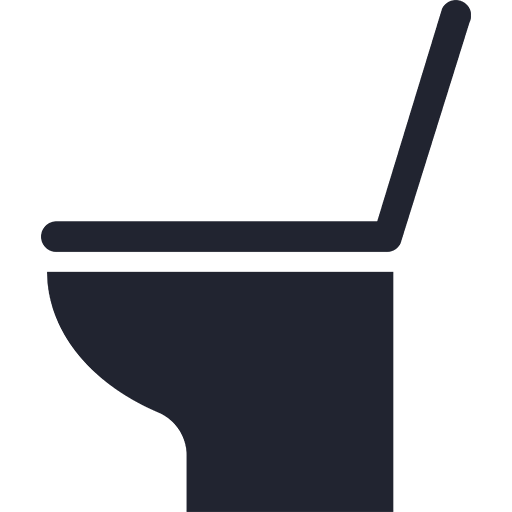 A place where you can experience Japanese culture and art first hand as you explore this historical city. 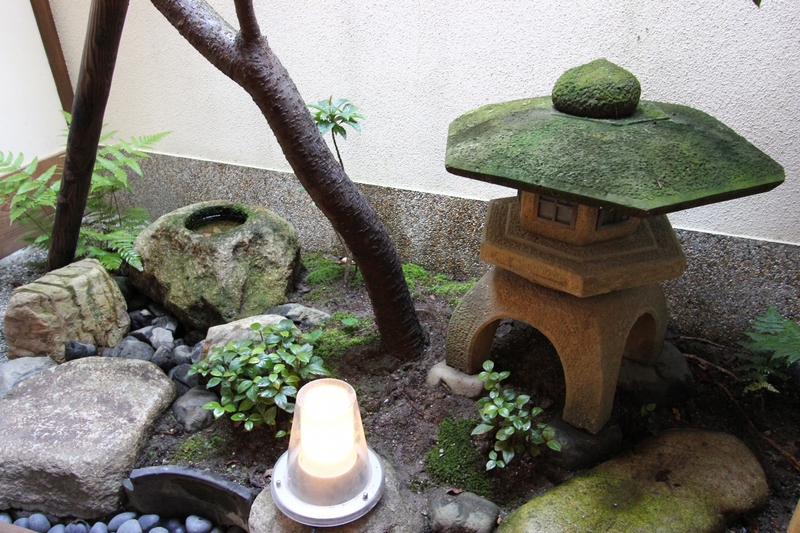 Found near the center of the Gion area it is located near popular Gion Hanamikoji Street, where maikos and geikos can be often seen. 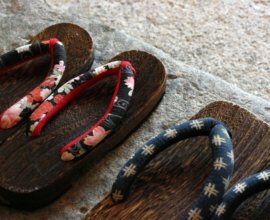 Other famous sightseeing spots, such as Yasaka Shrine, Kodaiji Temple and Kiyomizu-dera are also very conveniently accessible on foot. 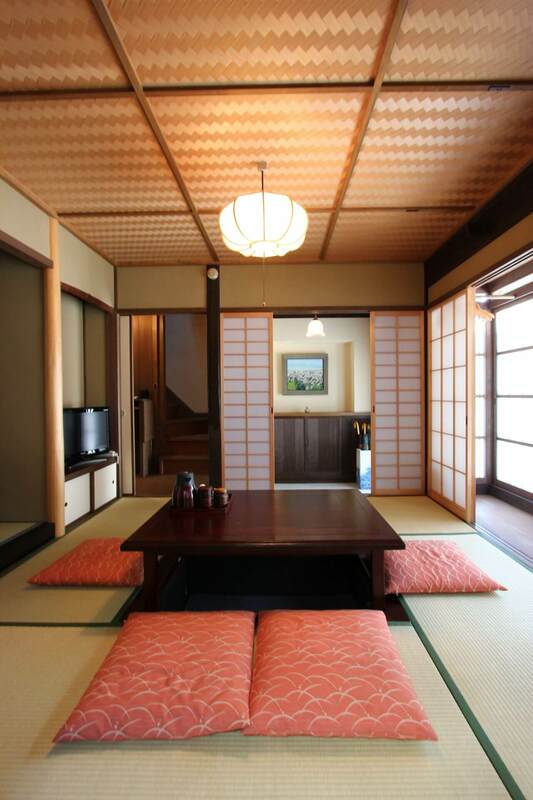 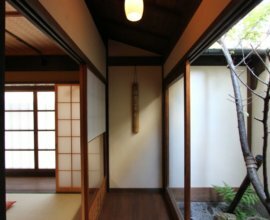 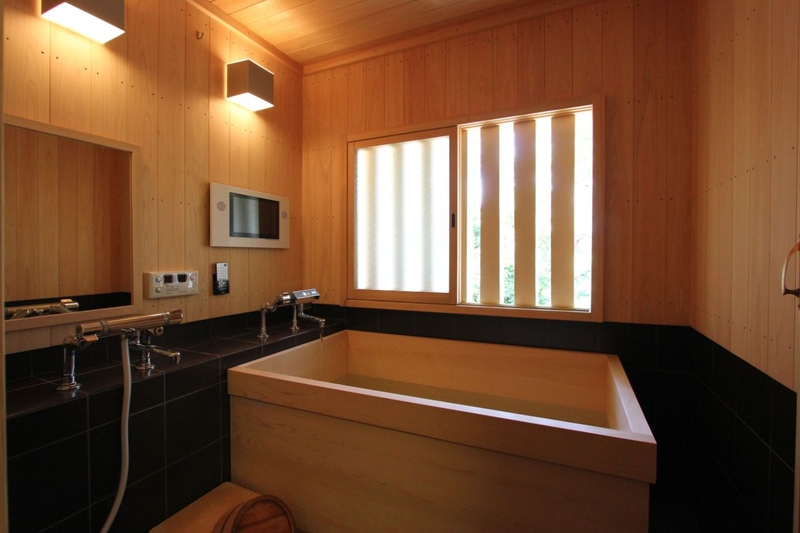 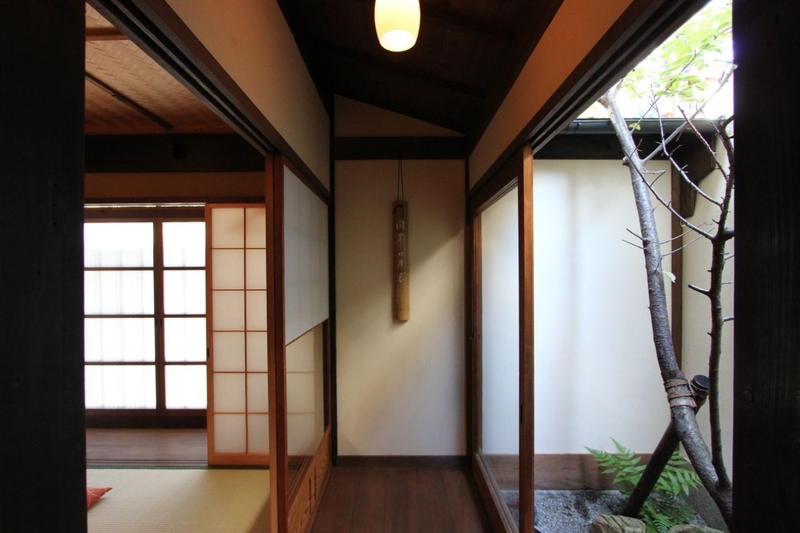 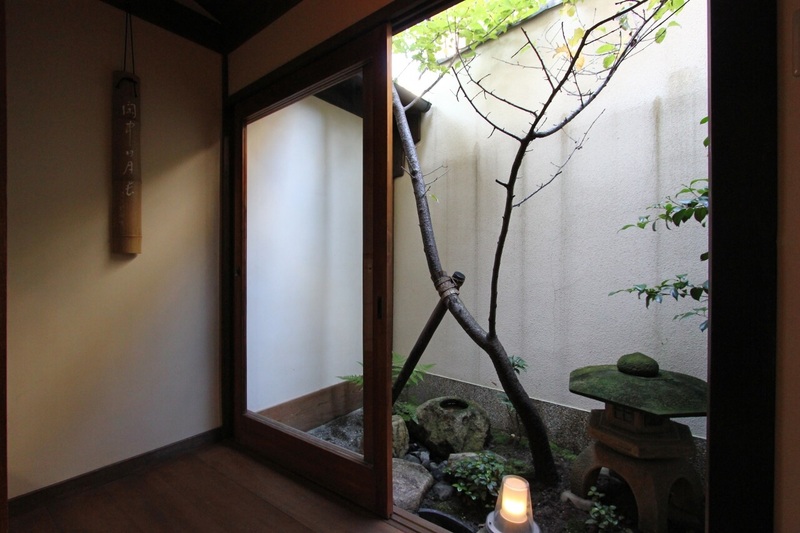 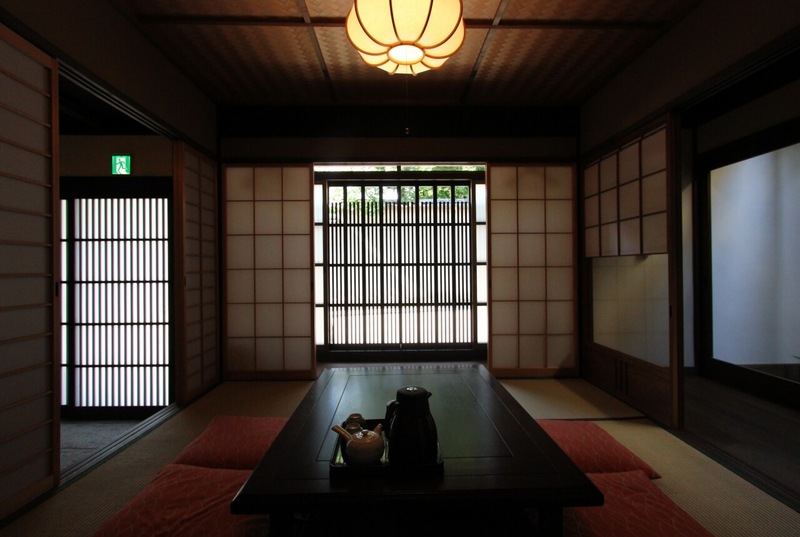 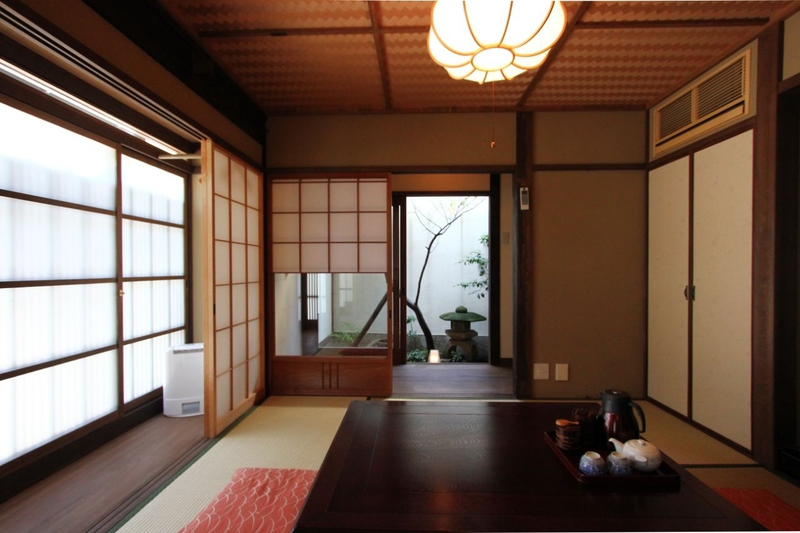 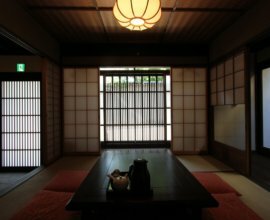 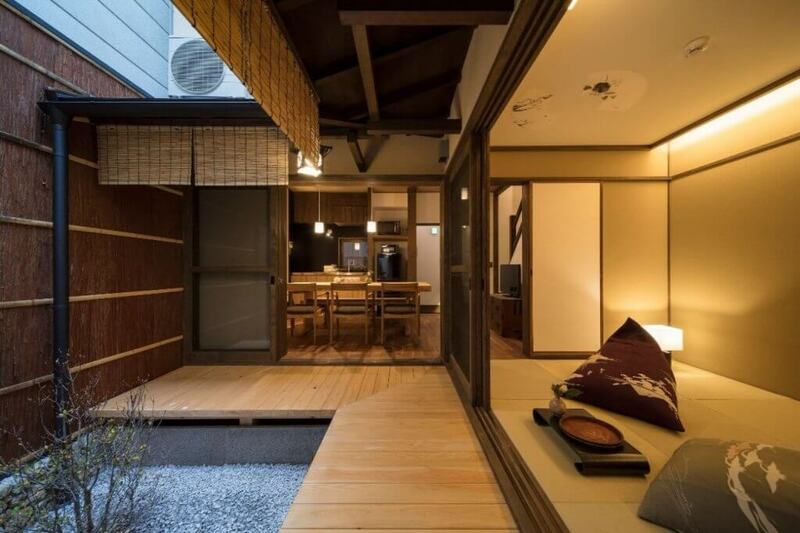 Early Showa Period machiya This traditional house has been beautifully restored. 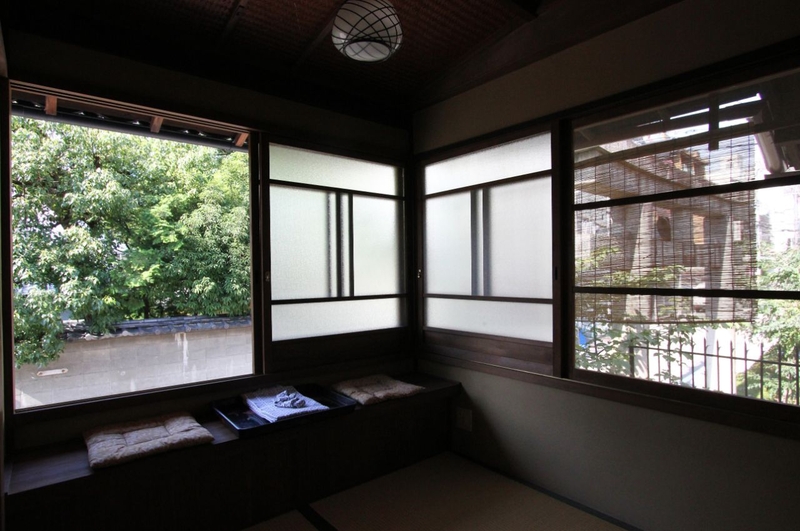 Notice such classic features as the wooden ‘bengara-goushi’ lattice windows and the white ‘mushiko’ vertical windows of the 2nd floor. 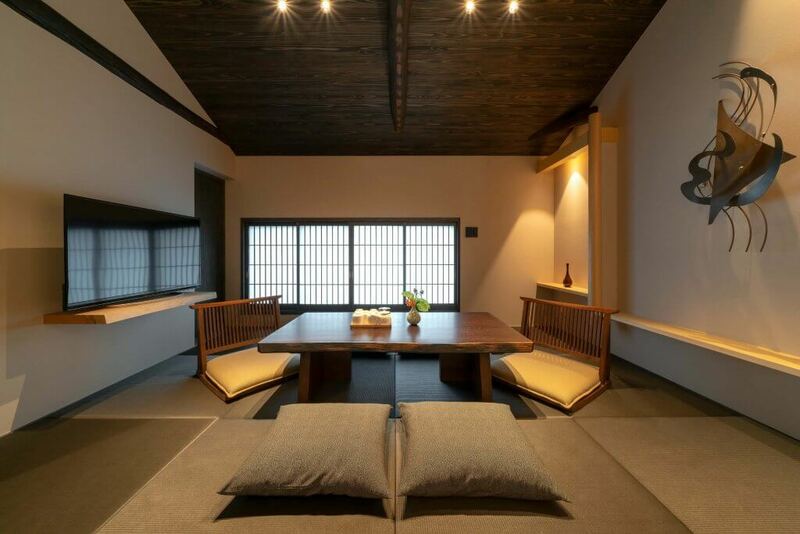 Living room The low table with a sunken floor allows you to relax while being able to stretch your legs out. 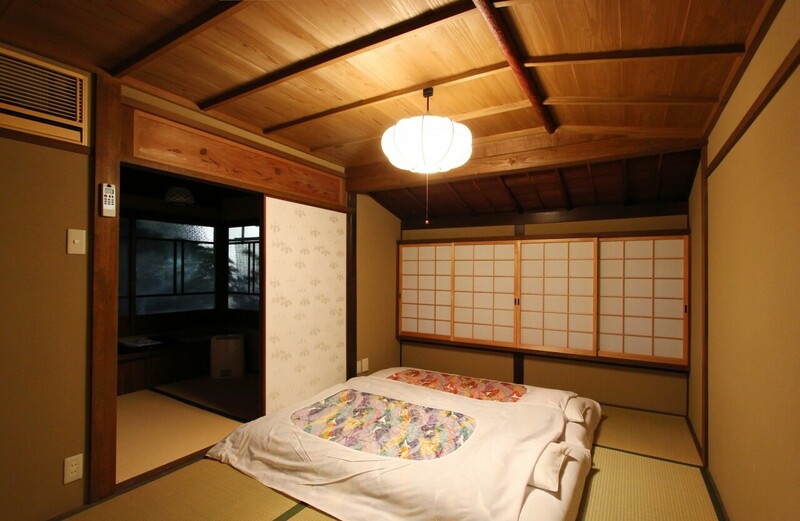 In the winter, it becomes a ‘kotatsu’ heated table. 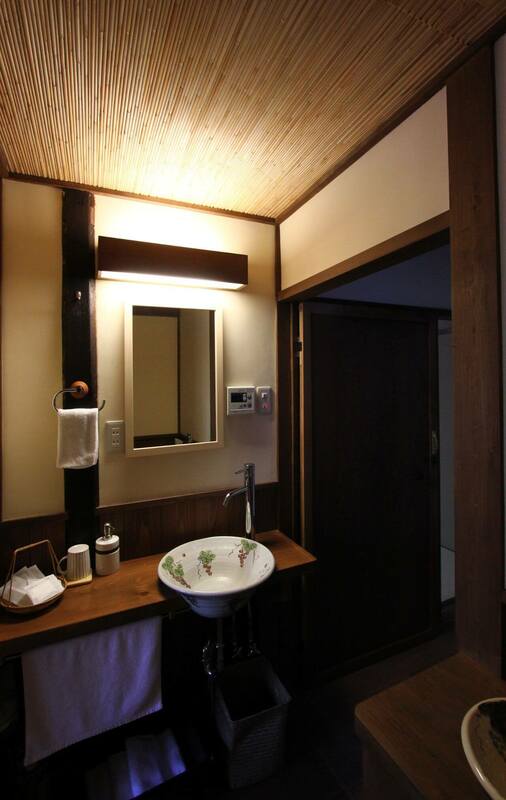 Enjoy the beautiful patterned ceiling. 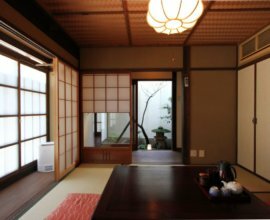 ‘Tsuboniwa’ garden Gaze into the inner garden from the veranda or from the living room by sliding up the ‘yukimi-shoji’ paper screen. 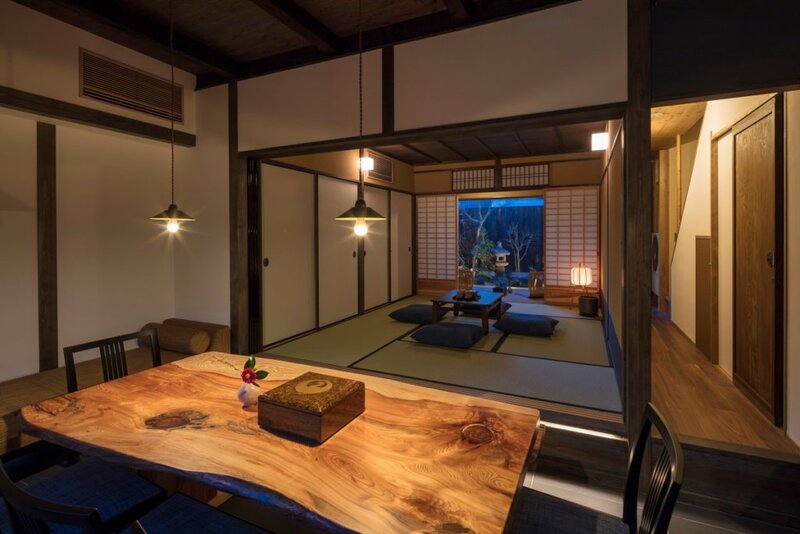 From mid-March to mid-April, enjoy your own view of the cherry blossoms. 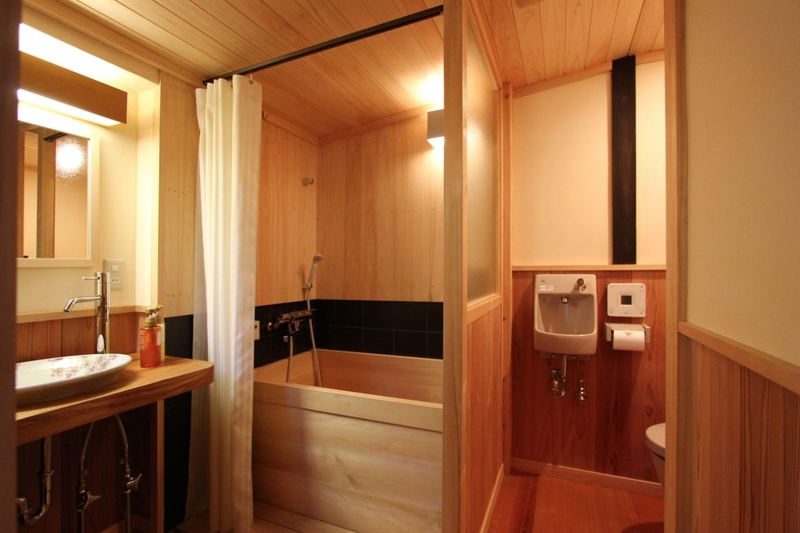 Two bathrooms Each bathroom has a luxurious wooden bathtub and shower. 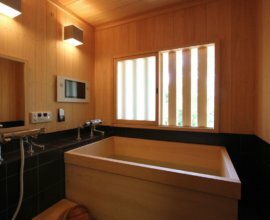 The 2nd floor bathtub has TV for your entertainment. 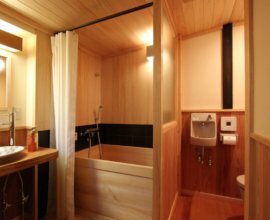 Lather yourself up using our curated bath amenities in refreshing scents. 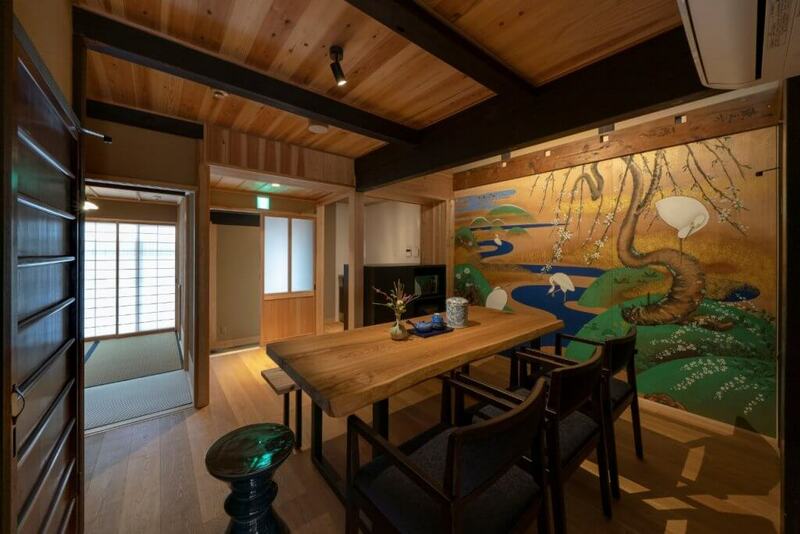 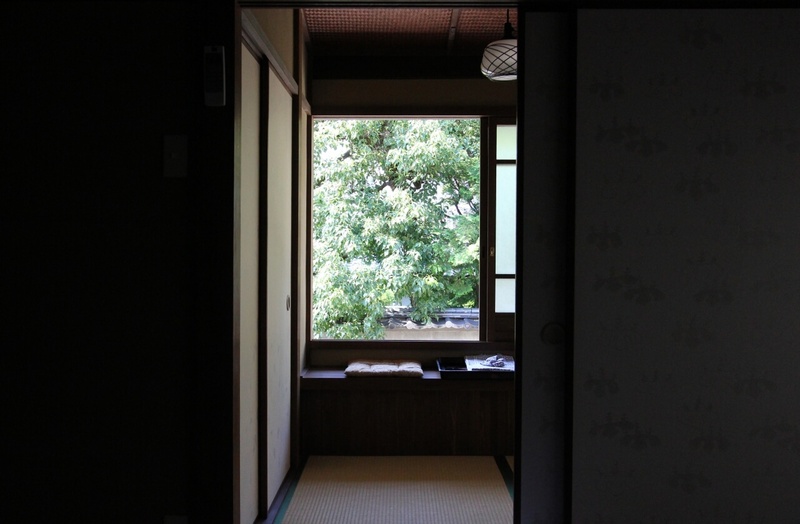 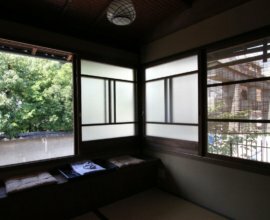 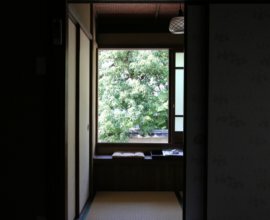 Den Look out onto the beautiful scenery in this den with paper sliding doors have been designed on a "torinoko" Japanese paper and woodblock-printed ‘karakami’, a specialty of Kyoto. 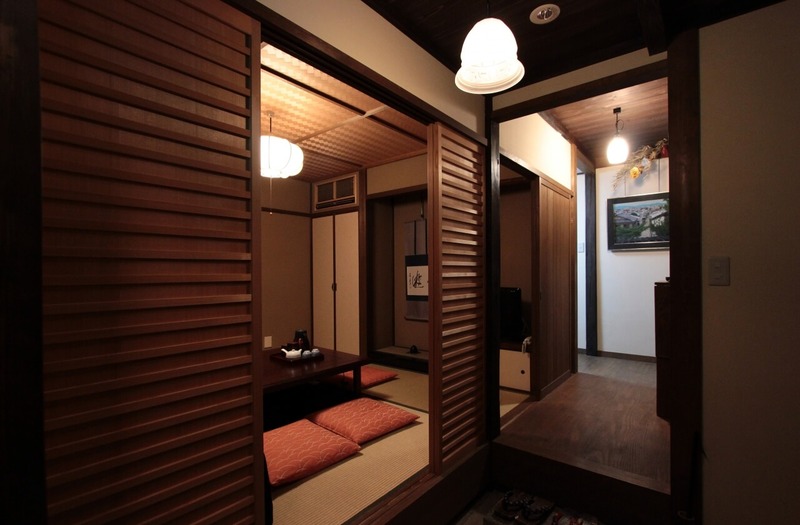 Japanese bedroom The rich wooden ceiling, ‘shoji’ paper window screens and tatami flooring provide a warm, traditional atmosphere to this 2nd floor space. Rest beautifully in the cozy futon bedding. 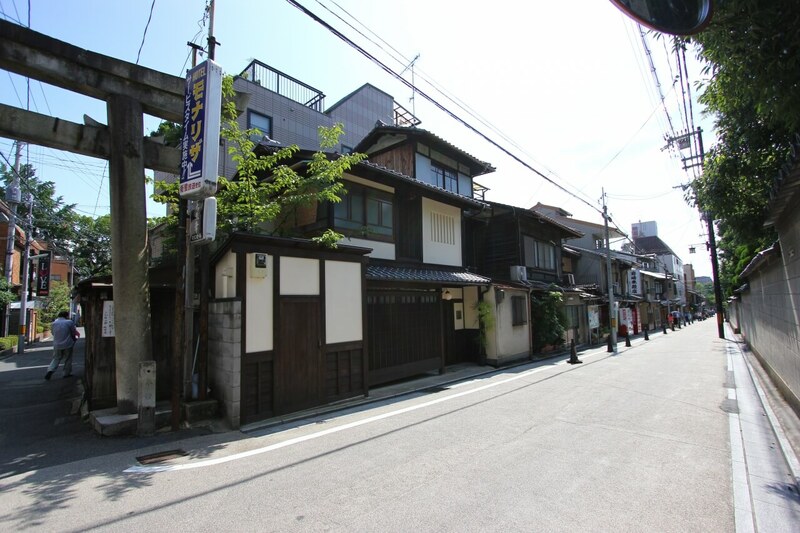 Walk down the street to relax and rejuvenate after a day of sightseeing at Kenninji Temple, or head a south for an early morning walk to Kiyomizu Temple to enjoy a rare sight -- walk along the streets leading up to this famous temple without the hustle and bustle of the other tourists. 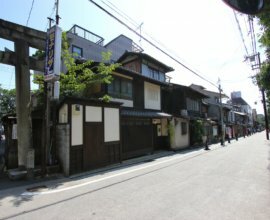 The main road to the east of "Gion Koyu-an" has many bus stops, which will provide you with easy access to all of Kyoto's sightseeing attractions located. 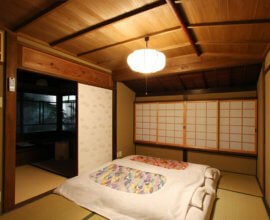 Or, catch a subway and head south towards the famous Fushimi Inari Shrine to view the thousands of red "torii" gates.